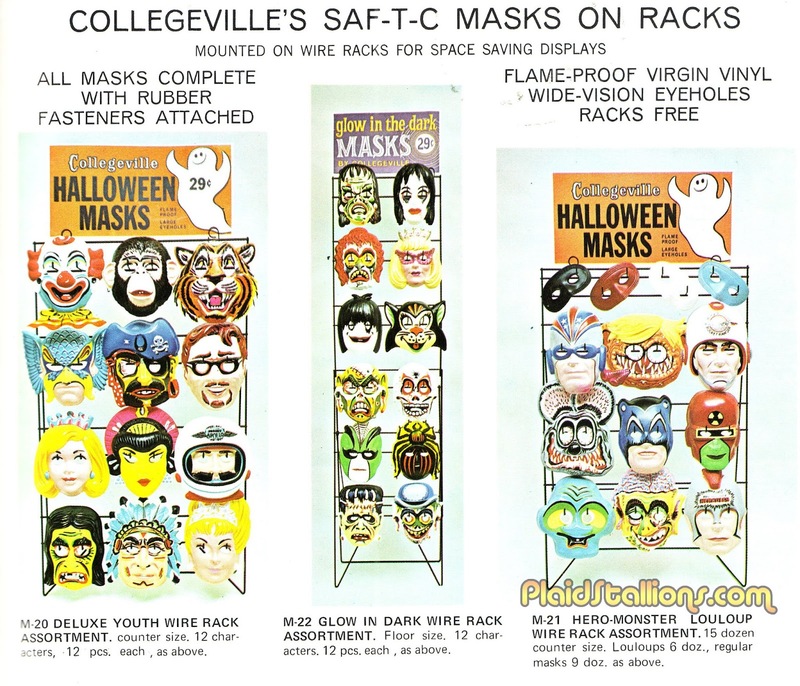 I remember seeing Halloween masks like the above at a local Ben Franklin dime store around Halloweentime when I was a kid, but I thought why they's sell those kind of masks without the vinyl smock costume, as it seemed pointless, but now I realize they were to make your own, or whatnot. No, I remember it they were on displays like in the picture. Alothugh, I gotta say, it looks like they were making Radioactive Man (Bart Simpson's favorite superhero from THe Simpsons) as a mask even before The Simpsons was made. I don't think I ever saw masks displayed like this, either. Would have been quite cool though! Alphacentaurian is right, amazing that was made, really cool looking too! Spot on with the Ben Franklin comment. Growing up in northern NJ, the Ben Franklin stores were the only ones I remember that had these point of purchase mask only displays. Bought a Ben Cooper Spock one year to wear with my Donmoor Trek shirt.